In a broad range of soils both Zinc and Manganese seem to be deficient causing energy loss in plants and insufficient chlorophyll development. With OmniSap testing this situation can be pin pointed and effectively alleviated with ZnMnMate. 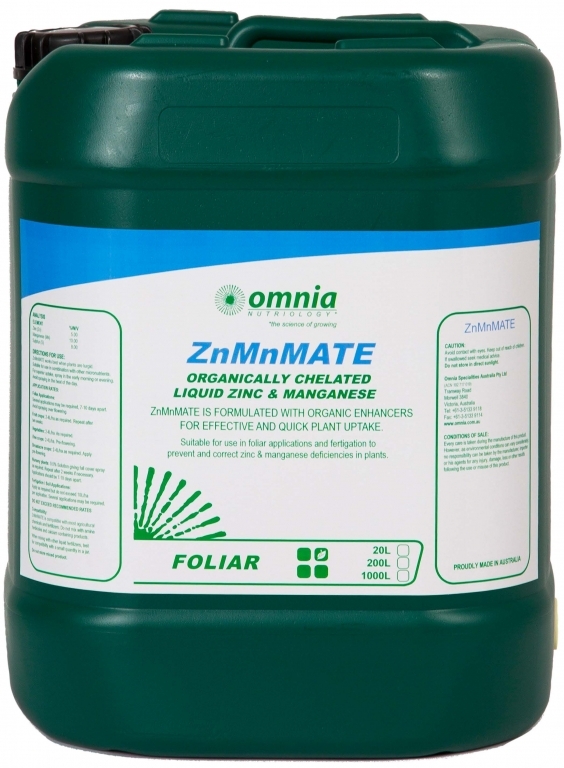 Effective alleviation of Zinc and Manganese deficiencies. 2-4L/ha as required. Repeat after two weeks. 0.5% Solution giving full cover spray as required. Repeat after two weeks if necessary. Applications should be 7-10 days apart.